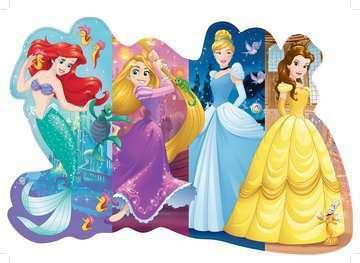 Enjoy this fun shaped puzzle with the beautiful Princesses. This sturdy product can bring years of fun for your little one! Easy to clean surface makes for a long puzzle life! 12" x 10" x 2.25"